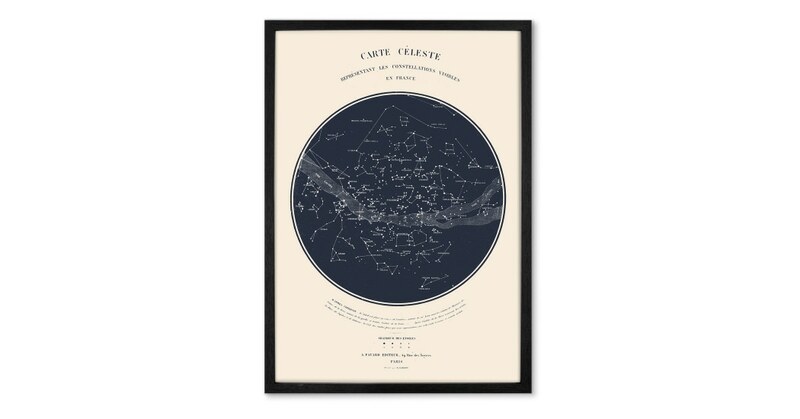 A vintage celestial map of the stars fills this print, with notes underneath. The typeface and finish add to the vintage feel. Not only is this wall art's subject matter dreamy, its tones are too: rich navy blue, that'll work well with most colour schemes.